Here's just a small sampling of the ways CDG serves the Centre County community. 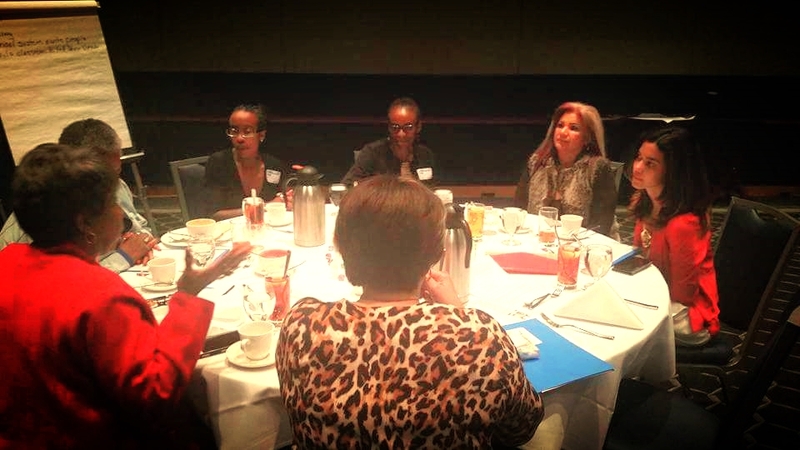 In March, the Cultural Empowerment for Women Series focused on building community. We asked our extensive list of attendees to participate in small group discussions about their ideas to strengthen our community. Many ideas centered around the things that have always brought people together: food, art, celebrations! Getting creative feedback was indeed empowering. We know how to get people interested and involved, and with a focus on multiculturalism and all the richness and blessings that come form inclusiveness, we really can strengthen our community and work towards a place where more and more folks proudly set roots because this is their home. The Borough of State College has sponsored recording of some of our Cultural Empowerment for Women programming through CNet. Find them below! Community organizations, including CDG gathered together at the State College Municipal Building to provide Centre Region citizens with information about the services they offer at the eighth annual Community Resource Fair in October 2016. More than 25 area organizations participated, including Alpha Fire Company, American Red Cross, Community Diversity Group, Penn State and State College Police and Bridge of Hope Centre County. Other local organizations like Tides and the Women’s Resource Center set up tables along Allen Street, as participants in the Downtown State College Fall Festival. CDG is partnering with RoBurrage Productions for a series of World Music & Cultural Dance Parties. Stay tuned!